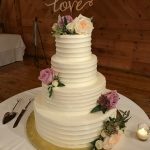 Kathryn & Keith – Wedding 8/2017 – INCREDIBLE! 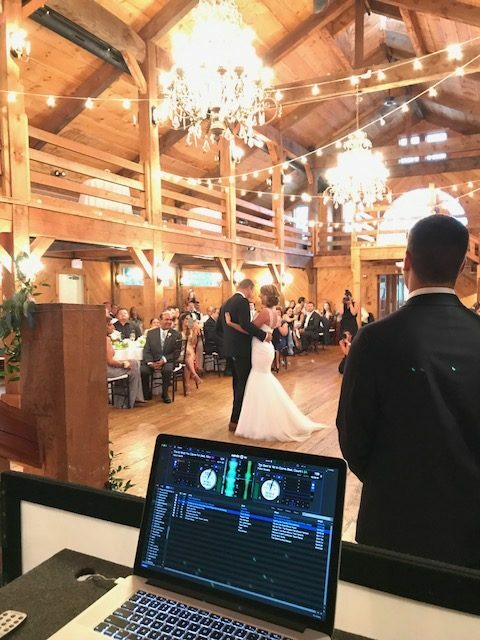 This was exactly how you should wedding, people! Let’s back up to the beginning of it all. I was connected with Kathryn months ago actually through out mutual hairdresser, Jess Feeley of Essentials Salon. Kathryn was getting her hair done one random night as I came in and Jess introduced us and we started chatting about her wedding, what musical tastes her and her fiancé had, etc. Soon after that I sat down for coffee with her and Keith as well for a more formal consultation meeting to go over everything more in depth/detail and it seemed like a great fit on both ends – and it absolutely was. 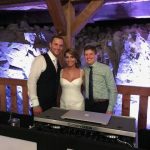 I LOVED working with the two of them and grabbing drinks for a final check in recap of details right before the wedding date hit as well. 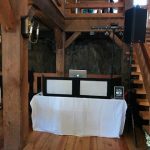 I was familiar with the venue from DJ’ing an event there last year so that always helps. 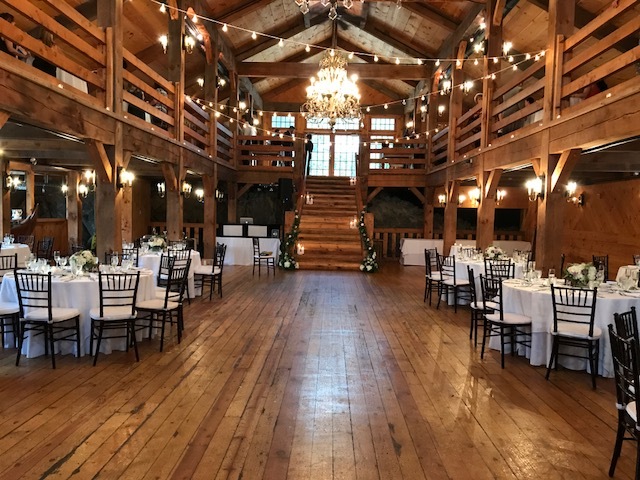 Very easy load in and load out process and such a great spot once you see it in person – the rustic barn New England vibe it carries is very charming and cozy. 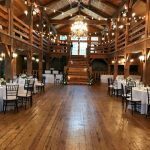 As always – I was on site for the big day very early to set up and host a sound check to make sure we were good to go. 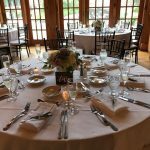 K&K made it even easier on me with having everything held in the same location all night – so I really had just my one big main set up tucked off in a corner area of the venue. 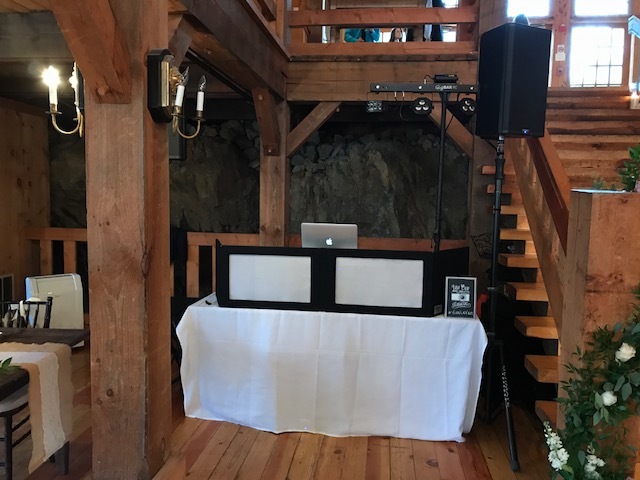 Since it’s the middle of July, Kathryn decided for the pre-ceremony music to be a summer vibe so I had some Bob Marley, Jimmy Buffett, Jack Johnson, etc. shuffling around (and this really set the tone of the party which was coming in a couple of hours.) 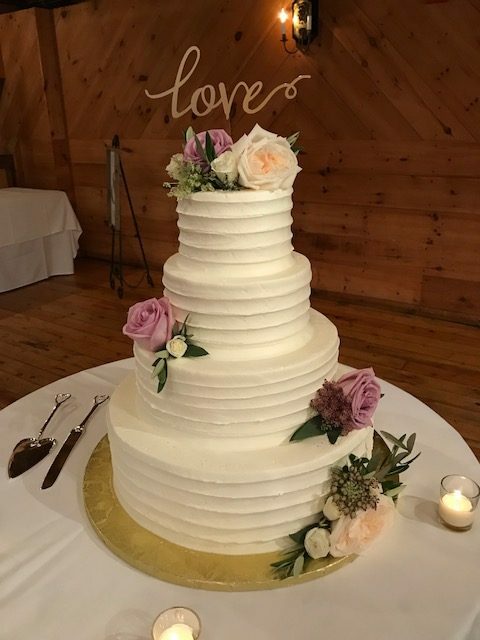 As the ceremony began – the entire wedding party’s processional song was “Love Me Like You Do” by The Brooklyn Duo and Kathryn walked the aisle to “Canon in D” by String Quartet. It was a great ceremony and their officiant was a personal friend and nailed it. Once it was official – they walked off to “Everything” by Michael Buble. Cocktail hour tool place on the second level just about but since everything was so open I was able to just turn up my current set up volume which I had sound checked earlier while walking around the second level & it worked out great. We went the old school classy jazzy vibe for this part of the night: Sinatra, Dean, Etta James, etc and throwing in some Postmodern Jukebox covers as well to keep it modern and fresh. 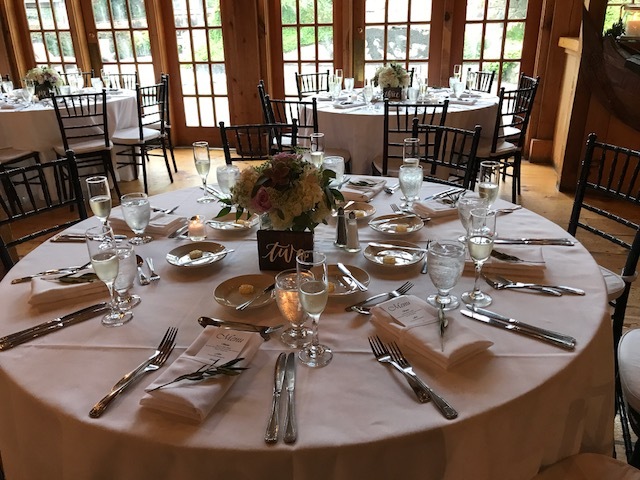 As the guests all made their way back downstairs to their tables – we lined up the wedding party and kicked off the introductions. 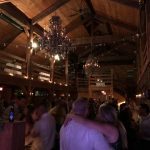 The wedding party itself was announced to “Good Feeling” by Flo-Rida and Mr. and Mrs. LeVan were announced to “This Is What You Came For” by Calvin Harris/Rihanna. They proceeded to flow directly into their first dance Frank Sinatra’s “The Best Is Yet To Come”. The dinner tone and music was more chill classic rock hits (a little bit of the older jazz classics here and there to carry over from cocktail as well) and some modern chill acoustic artists such as the Lumineers. I even snuck in some chill 90s alt rock from the Chili Peppers & Pearl Jam. People were all nodding their heads or tapping their foot during dinner and I could tell/feel the energy of that crowd was going to unleash pure insanity on the dance floor. 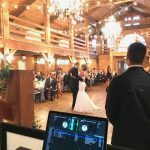 The DJ or band are a big part of the wedding – no question – but a crowd makes or break it in the end – and this one made it and then some! As dinner was closing up we had their cake cutting to “Sugar” by Maroon 5 and right into back to back parent dances. Kathryn and her father to “My Wish” by Racal Flatts while Keith and his mother to “Days Like This” by Van Morrison. OPEN DANCE FLOOR at this point of the night! 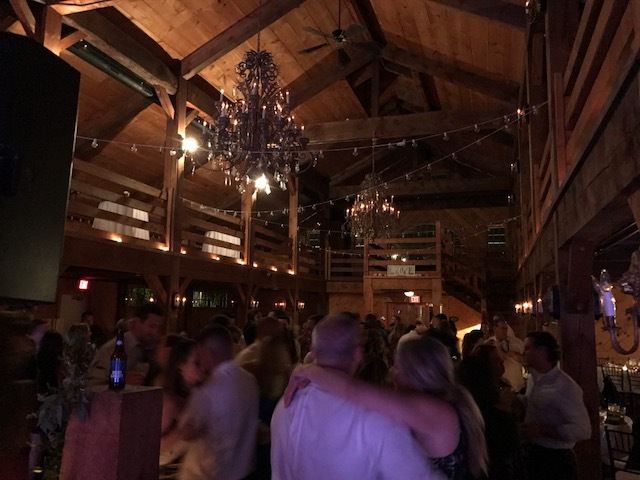 Kicked off with my formula of the old school funk and soul jams and right into some 90s/80s and Top 40 crowd pleaser – throwing in a good amount of danceable classic rock as well from Bruce and The Doors – and a very special request for “Stanky Leg” because, why wouldn’t you?! “Stole the Show” from Kygo later in the night special request from Kathryn. We topped the night off with an oldie but a freaking goodie – “Ain’t No Mountain High Enough” from Marvin Gaye & Tammi Terrell. 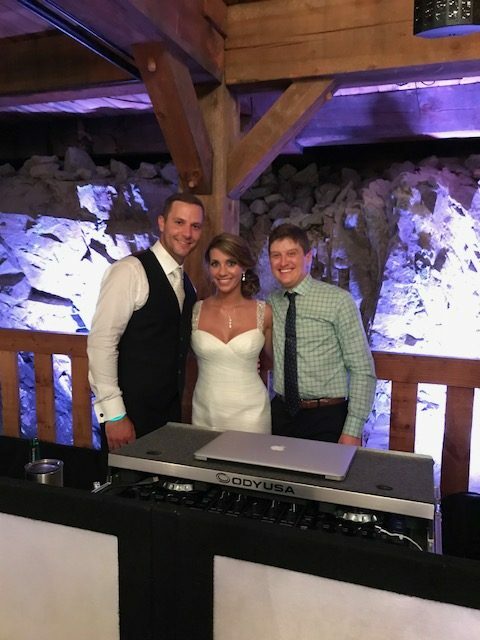 A massive congratulations to Kathryn and Keith – had a blast working with you guys and being a part of this incredible event! All the best to you both! ©2018 DJ T-REX. All rights reserved. Design by: ZRAYWEB.